You've probably noticed that the color coral is becoming the go to color for weddings and also for home décor. Most people are probably not familiar with the color coral. Even I used to think coral was just something you'll find at the bottom of the ocean, where the likes of a certain fictitious sea creature clown around and roam. If you remember 'Nemo' the movie, you probably know what I'm talking about. Well, anyway, you're thinking of decorating your living-room or bedroom in the color coral. Maybe you're not quite sure about this mysterious color. I mean, come to think of it, it's not quite pink, neither is it orange, but somewhere in between. One thing you do know is that this color can be seemingly breathtaking. 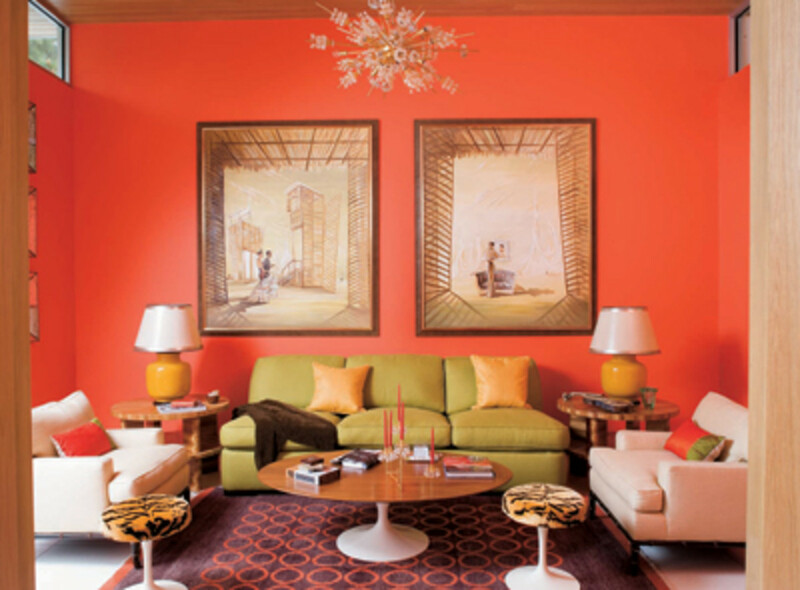 In home decorating, the color coral is fast becoming the new pink, or might we say, orange. It's not as pale as the baby pink, nor is it as loud as the fuchsia. And talk about the fact that it's not as inhibiting as the color orange as it doesn't turn your whole world into a halloween's campaign. 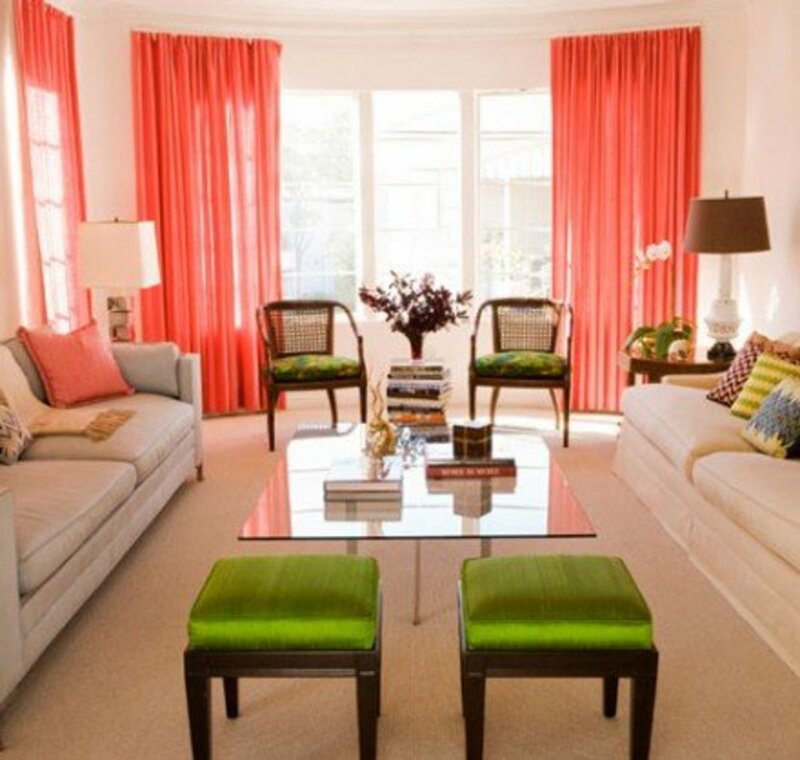 Coral and Lime Green Theme.Window Drapes and Decorative Pillows. Breathtaking! Coral and White Linen Theme. Coffee Table and Decorative Pillows. Coral Colored Wall with a Blend of Grey Furnitures & Red Lamp. Unique Combination! 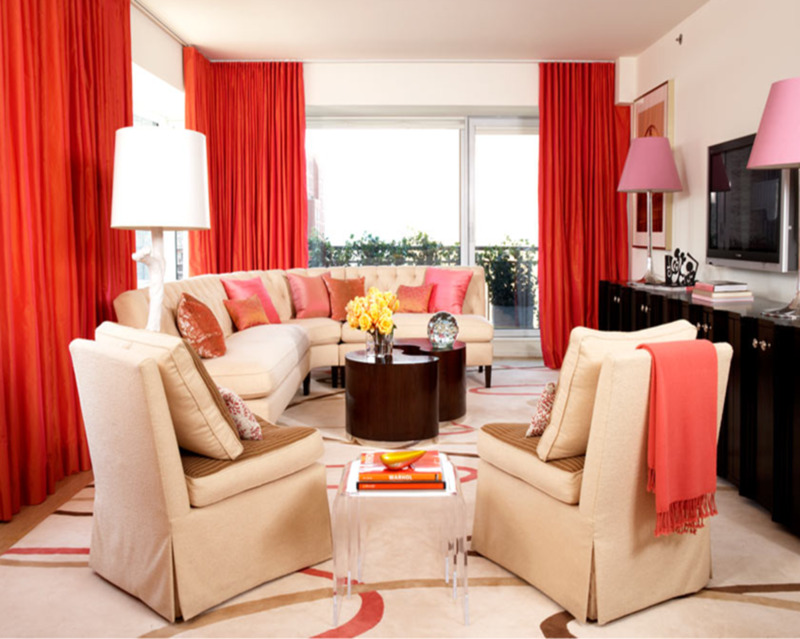 Coral and Off-White Theme.Window Drapes Throw, and Decorative Pillows with A Touch of Pink Lamp Shades. 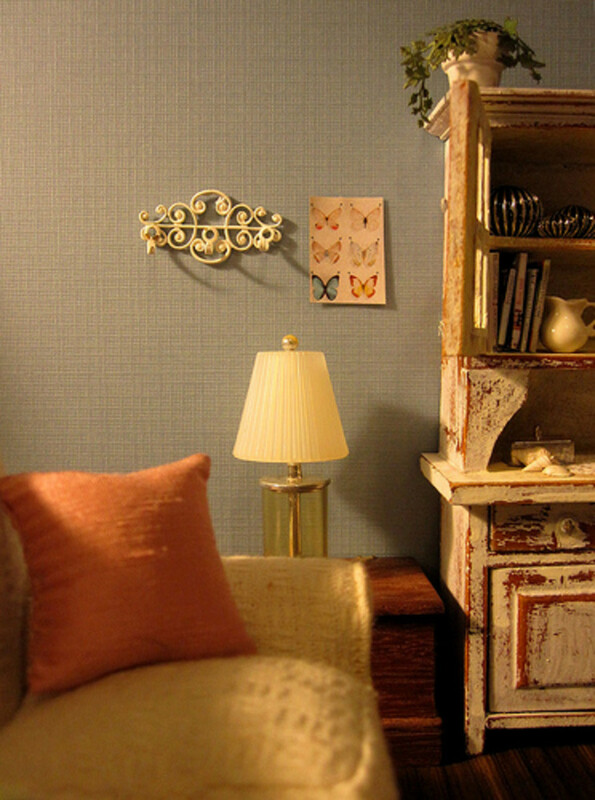 All Coral Wall Theme With Lime-Green Sofa & A Touch of Yellow in the Lamp. Coral & Yello Wall Theme. The Coral Over The Fireplace Sets The Focus. Coral is such an inviting, refreshing color, it's like drinking a blend of iced citrus juice in the middle of a hot summer day. What! You don't like citrus? Then think berry. My point? You can't go wrong with the color coral. There is no shying away from this color. 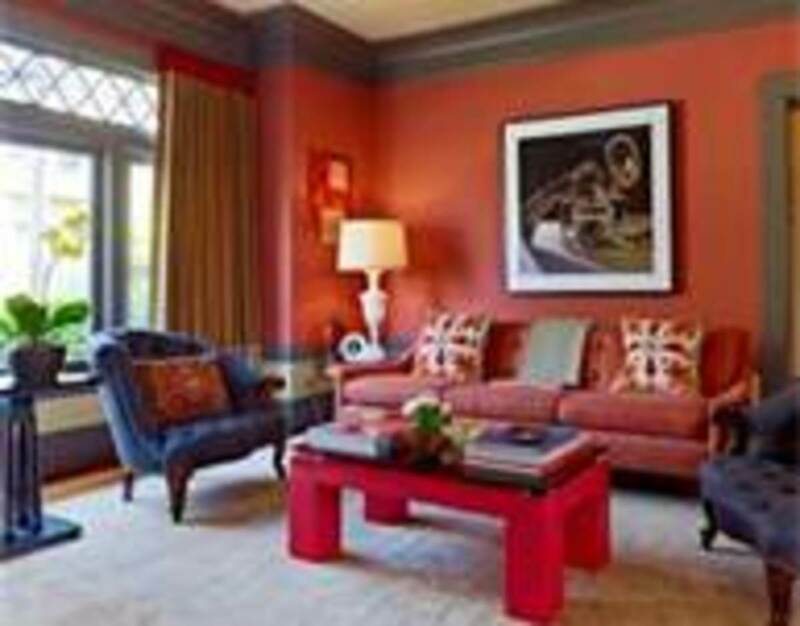 It can be used to paint an entire house or as one of the many blends of color choices. 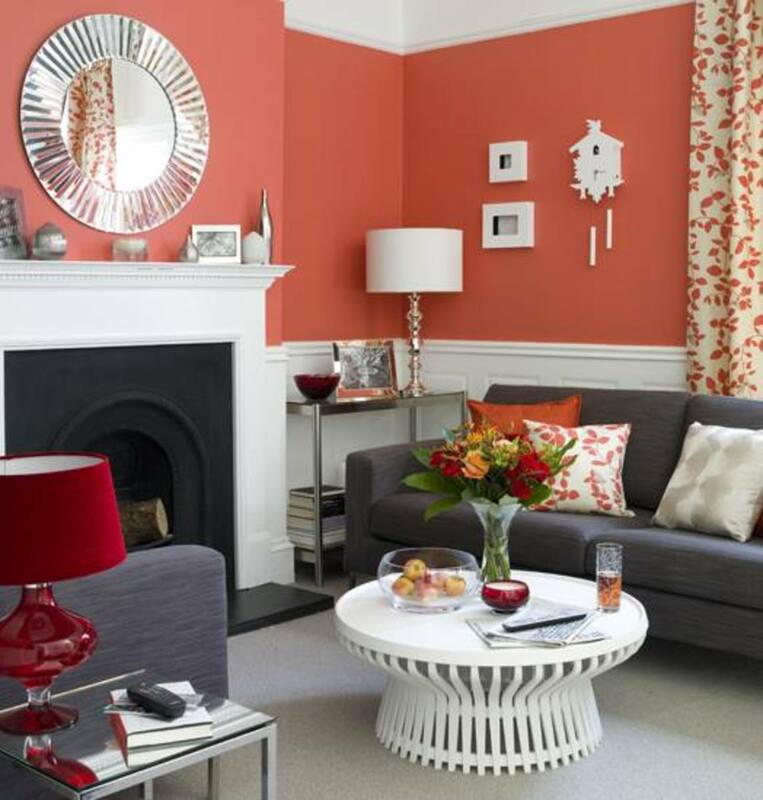 Use coral as your main wall paint, or use it as an eye-catcher by painting only one side of your room with coral. 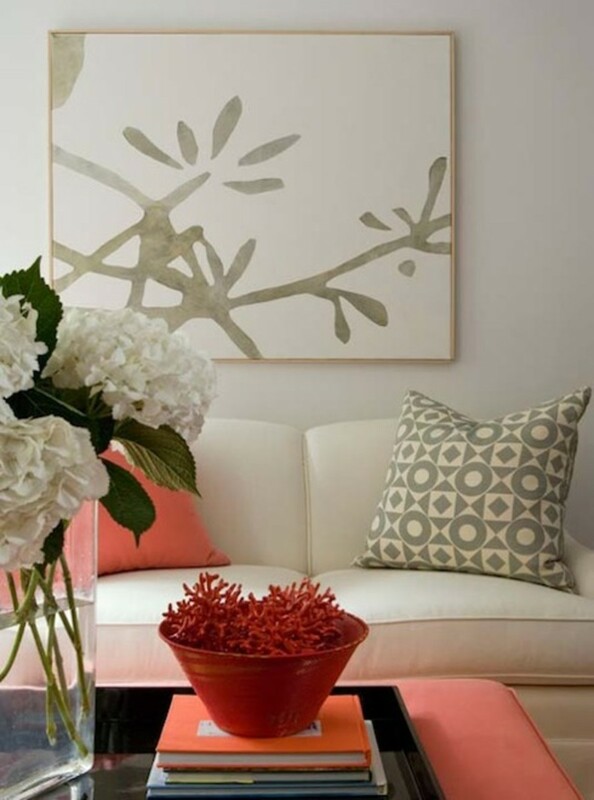 Use coral as your ceiling paint for a room with light yellow or lemon/lime green wall. Use coral paint on your foyer wall to create a grand entrance. Use coral accent chairs, sofa, or love seats in a room with neutral paint blends, such as, light yellow, off-white, baby blue etc. 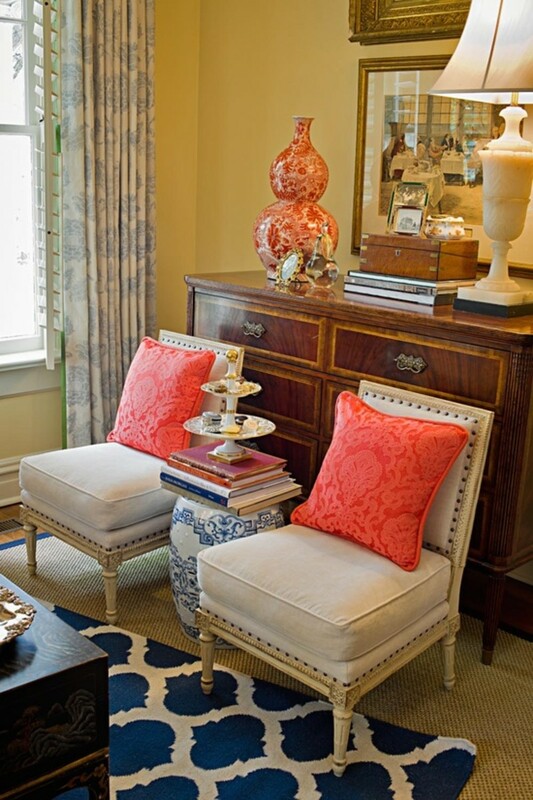 Use coral colored window fabrics, in combination with coral decorative pillows, ottomans, and/or lamp shades. These coral decorating ideas works best when combined with lime-green, turquoise, and yellow decorating theme. You can also experiment with other color blends outside of the ones mentioned. 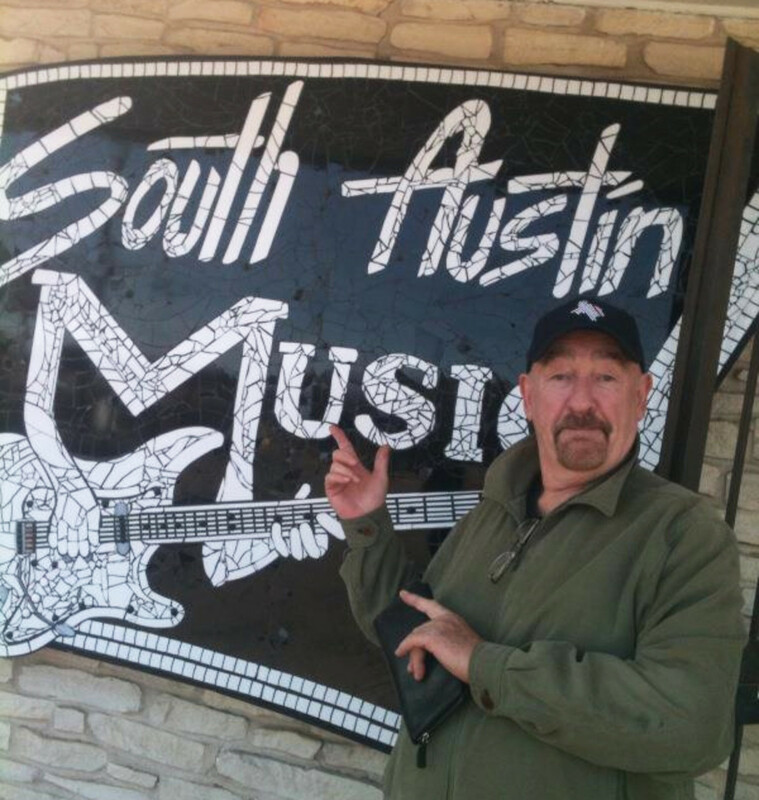 You never know what you'll discover when you go on your whim. But, if you'll rather limit your colors to the coral blend, that's okay too. All Coral Wall Theme with Coral Bedding. All Coral Wall Theme with Coral/White Bedding. There really isn't much in the bedroom that you can play with in terms of wall space. Most people prefer to use one color wall paint theme. Using coral on your bedroom wall is sure to bring that breath of fresh air effect into your favorite place of relaxation. Closet Wall Color - Most closets are painted white or off-white. If your room's wall is already painted with coral, why not the inside of your closet. The contrast between the white closet door and trims (I'm assuming you have a white closet door and trims), and the coral color can make you want to spend more time in your closet. 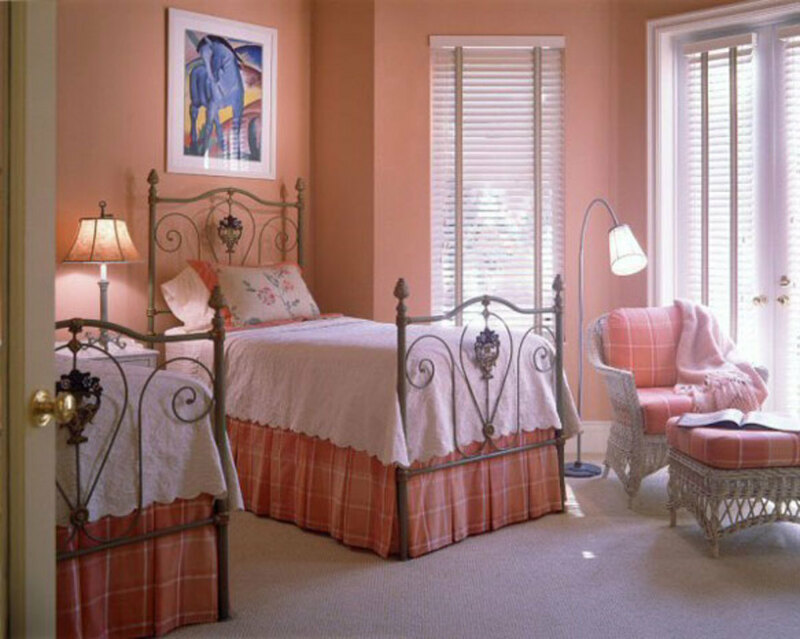 Coral Window Treatment - Whether your bedroom wall is painted in coral, white, or off-white paint, using a pair of coral window drapes/curtains will give your room that added burst of light. Coral Color Blends Bedding Sets - Use bedding sets with coral color blends. 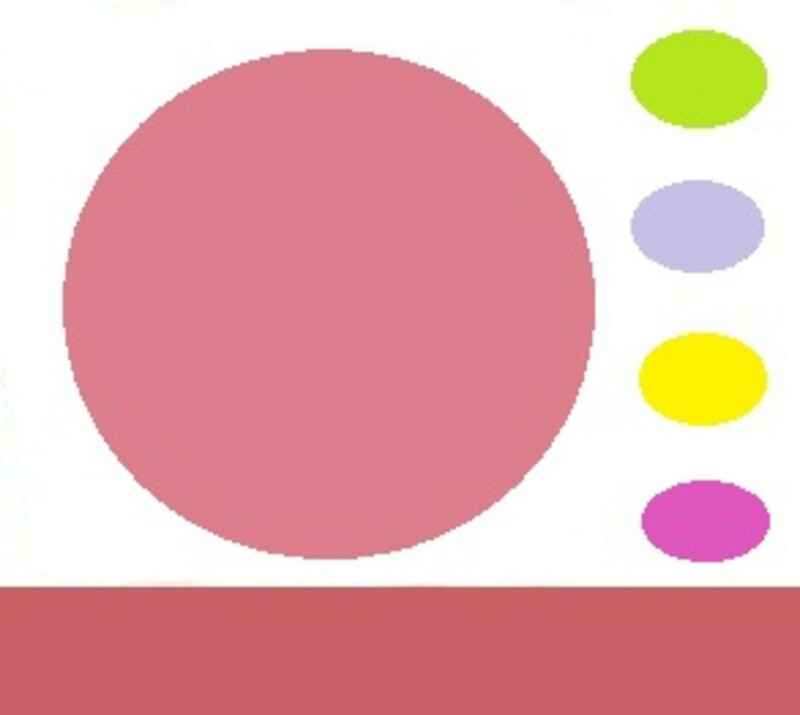 For a more liberal look, mix them up with other color blends like lime green, yellow and dark shades of pink. Coral and grey can also be a good mix. 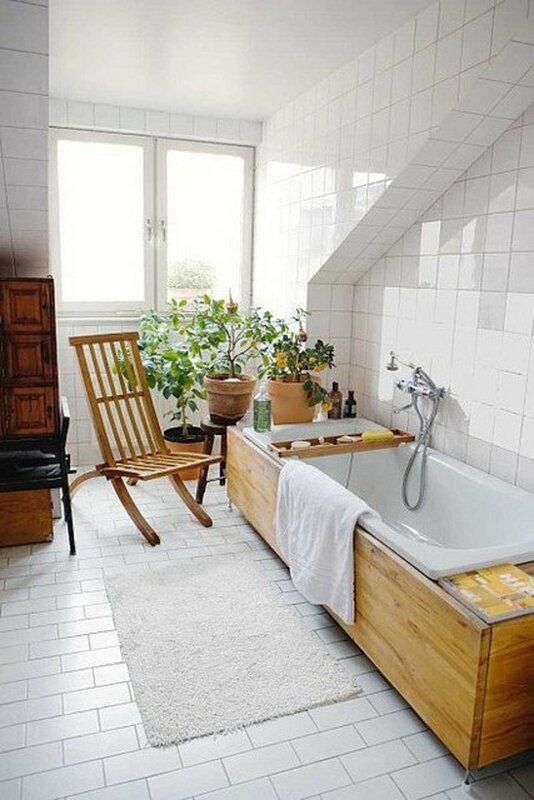 Coral In Your Bathroom - You can also incorporate coral into your bathroom if you have a connecting bedroom and bathroom layout. 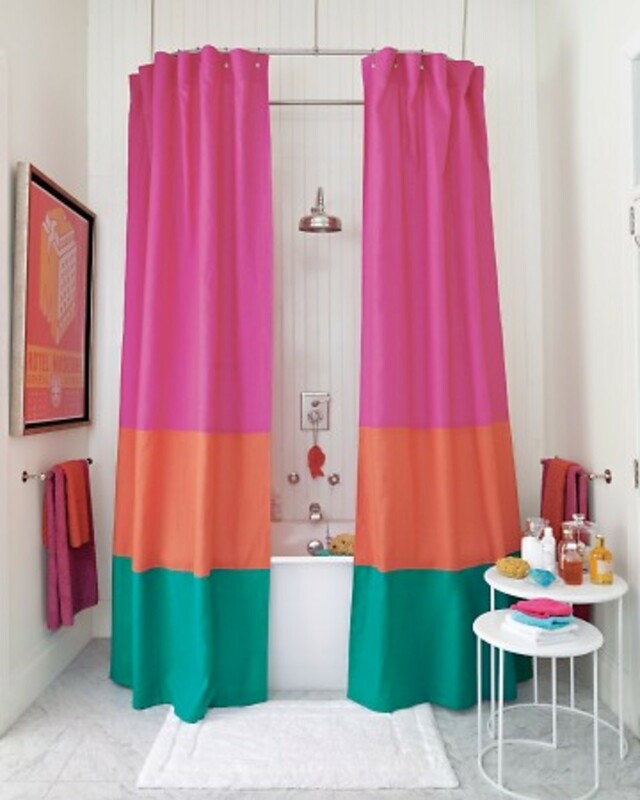 There are bathroom accessories out there in coral or coral mix. 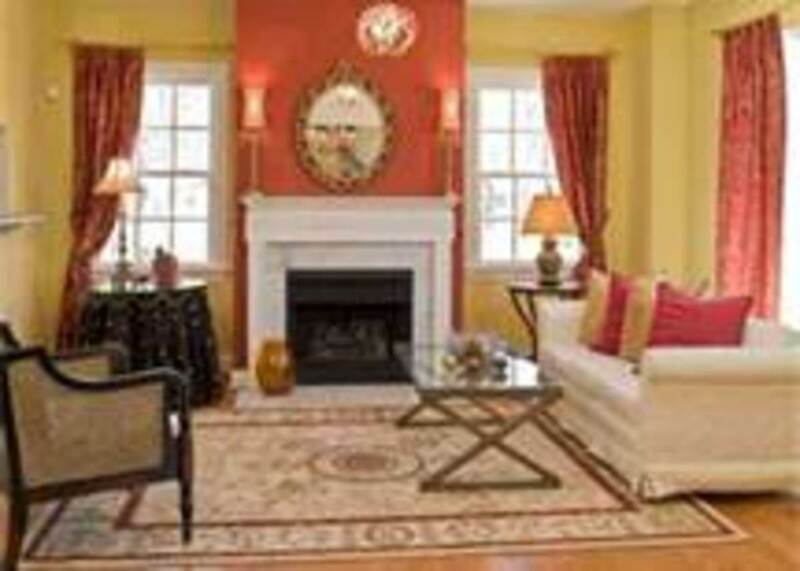 And don't be afraid to use a couple of coral color area rugs here and there to accentuate your bedroom floor. 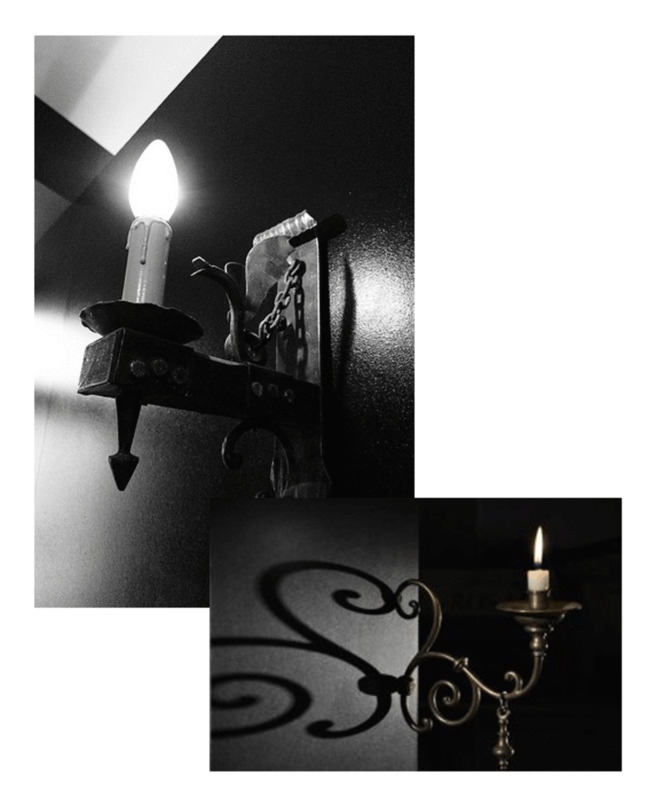 It is always good to start with a focal point when planning to decorate. 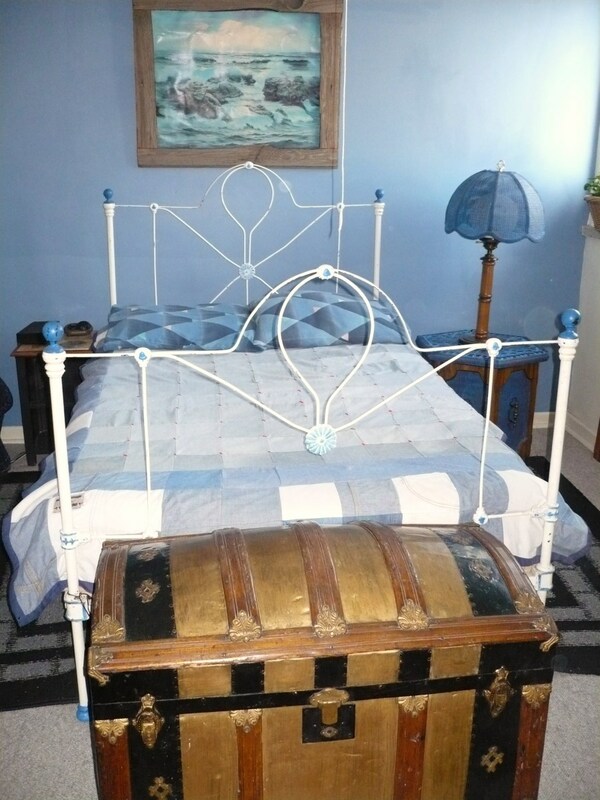 You can decorate around a piece of furniture, such as, a sofa or chair. You can decorate around a center rug, or carpet. If your wall already has a color you love, then you can either enhance, or tone down that color by using decorative pillows, accent chairs, table lamps, and candles in colors that compliments your already existing wall color. Use of the right type and color window drapes can drastically give your room that boost you crave. Lovely color, coral. It does make a nice backdrop in the bedroom. 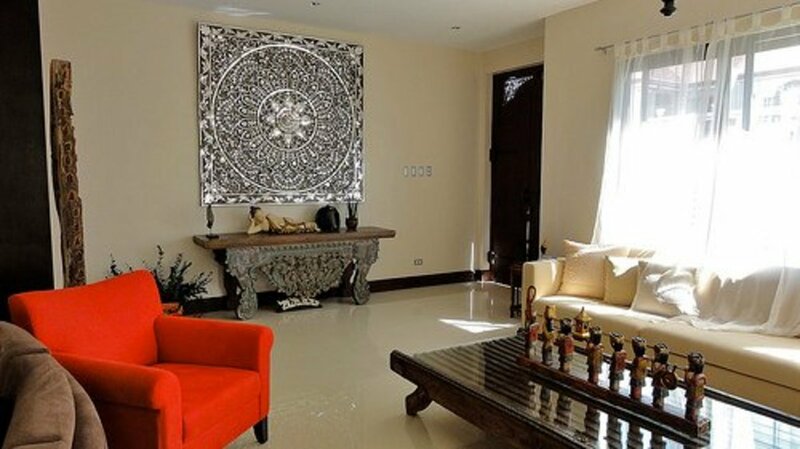 We have a terra cotta in ours and the richness of the color really does enhance the décor/furniture. I do agree with your living room theme also. Coral is definitely perfect for a beach house with all the white doors and trimmings. 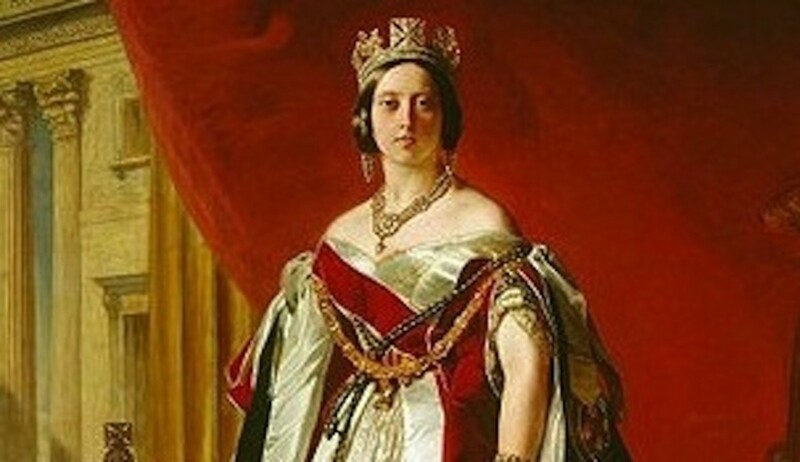 I voted this up, useful and interesting because your writing style made it an easy read, your information was interesting and certainly helpful, and the photos added pop to what you wrote. Very nice hub making me want to look into coral...my daughter has a beach house and this would be perfect!